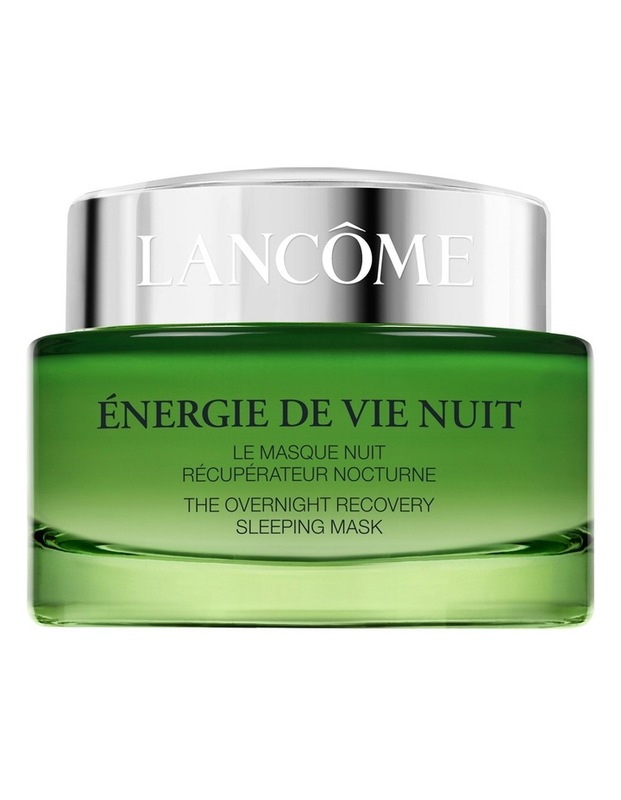 Energie de Vie Overnight Recovery Sleeping Mask by Lancme, a hydrating and antioxidant-packed sleeping mask that melts into your skin for a renewed glow. The summary is a one or two sentence description of the product. This should include the brand, sub-brand and functional name within. This Melt-In Sleeping Mask deeply hydrates skin, creating a healthy-looking glow and a refined texture as you sleep. In a fascinating journey of the senses, this cooling formula infuses skin with an instant burst of deliciously invigorating freshness and a natural fragrance. Instantly, its refreshing texture decreases skins temperature to help prime the skin for optimal night-time conditions. During the night, the formula melts into skin to help reinforce Skins barrier and maintain ideal an ideal hydration level. In the morning, skin looks hydrated, glowy, and plumped-up.